Back in early June when I was studying for exams, I discovered a really cool exhibition in London by Yayoi Kusama at the Victoria Miro gallery. (I always seem to find fun things when I’m “revising” *sigh*). I put it at the top of my list of things to do after exams, along with checking out the brunch that Granger & Co has to offer. Finally I ticked off both and had a really fun day out with two of my uni friends. 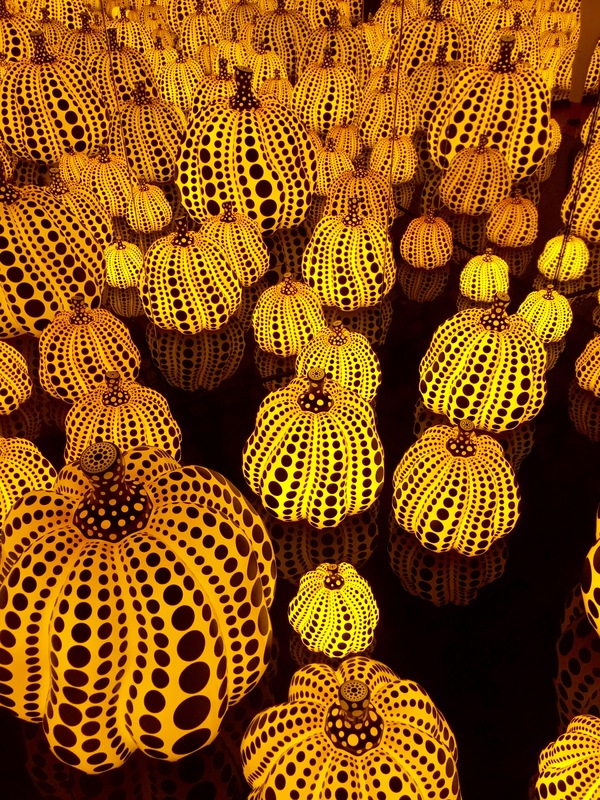 I’ll get on to the food in just a moment, but I wanted to show you pictures of my favourite part of the exhibiton – the infinity pumpkin room! As you enter and walk up the stairs of the exhibition you’ll find yourself in a large white room with big metallic pumpkins on one side, and a random small white box on the other side. What’s inside the random box you ask? Magic! 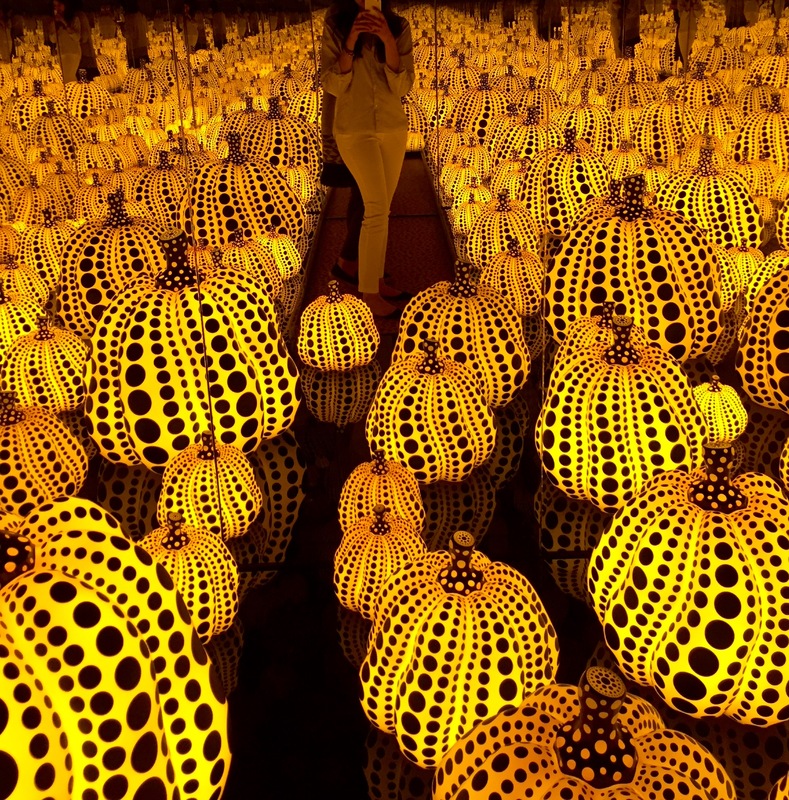 An amazing display of glowing pumpkins surrounds you from every corner making you feel fully submerged in Kusama’s artwork. There was a queue of people waiting to go in so you only get 30 seconds inside the box! The exhibition ends on the 30th July so check it out asap! On to Granger & Co! This restaurant is not halal, however they offer various veggie options. They have a few locations; we checked out their branch in King’s Cross. The interior is simple and really pretty. They have beautiful marble tables, which made me scream a little inside. If you’ve noticed on my Instagram I have a marble laptop case, a marble notebook and I really want a marble phone case too – I’m a bit obsessed haha. I’m not the biggest fan of bananas, which is why I didn’t opt for this (although I’ve heard rave reviews about it online)! 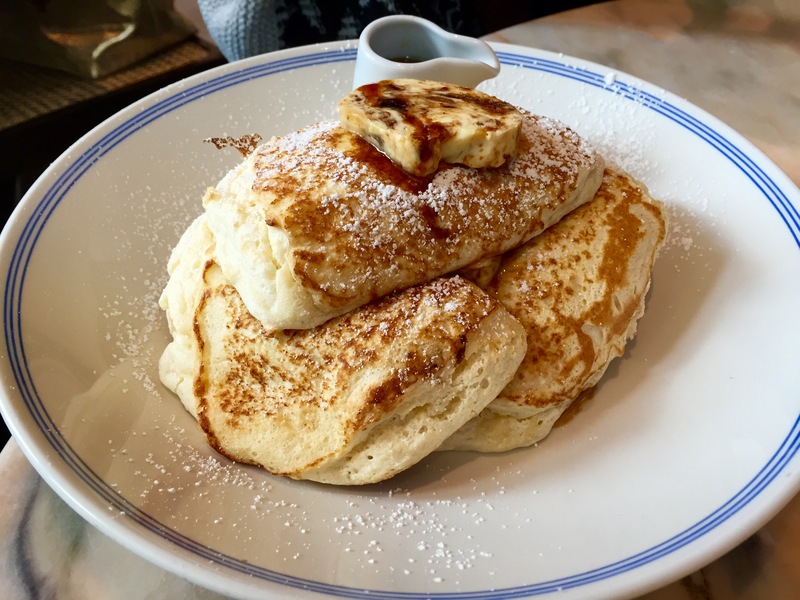 My friend said the hotcakes were light, fluffy and really delicious. Guys LOOK how smooth and pretty my scrambled eggs looked! 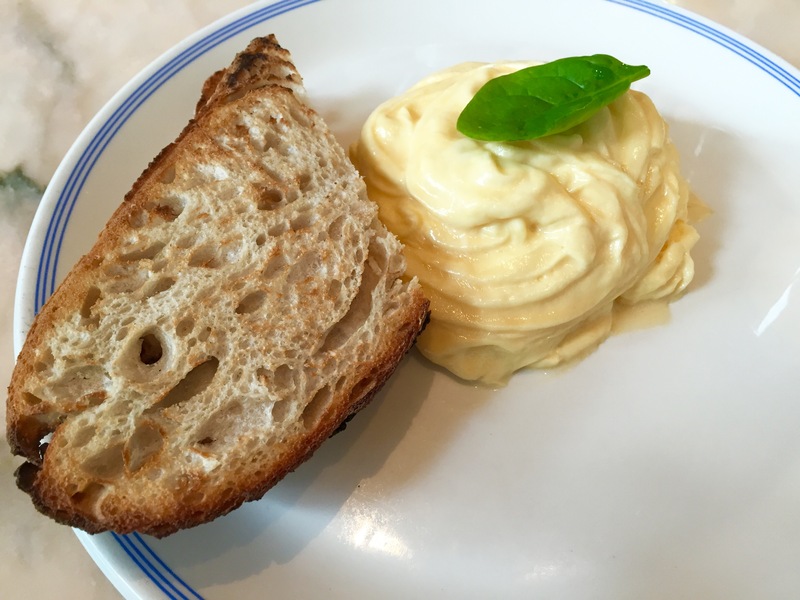 I enjoyed my meal, especially the dollop of warm salty butter sandwiched between my sourdough toasts (yum). 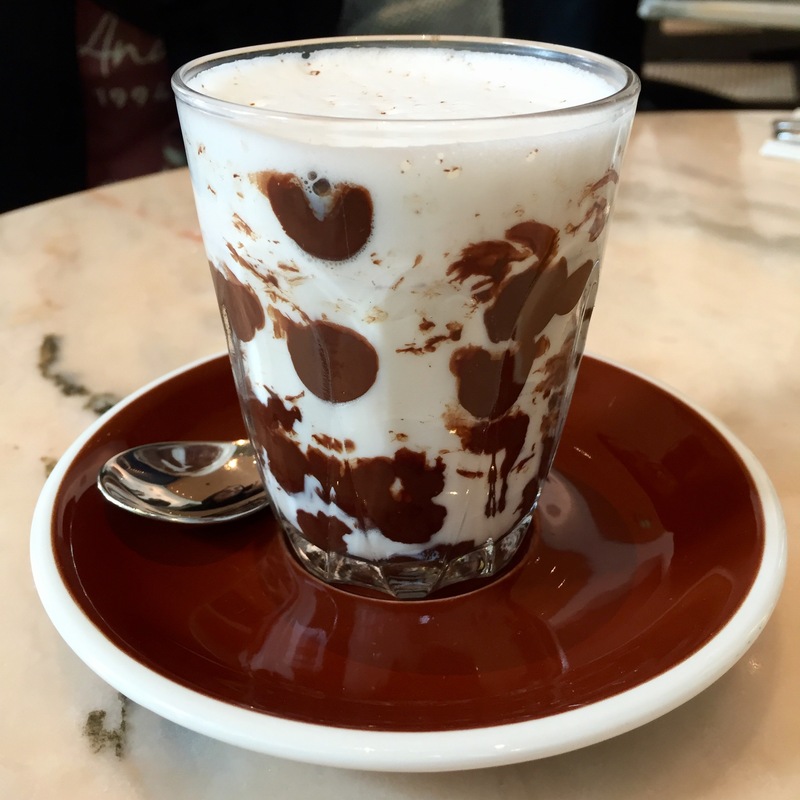 This dish is actually a dessert from the lunch menu so you cannot get it during brunch hours. You could be smart like us and cross over at brunch and lunch hours *smirks*. I’m a big fan of white chocolate so I enjoyed it. 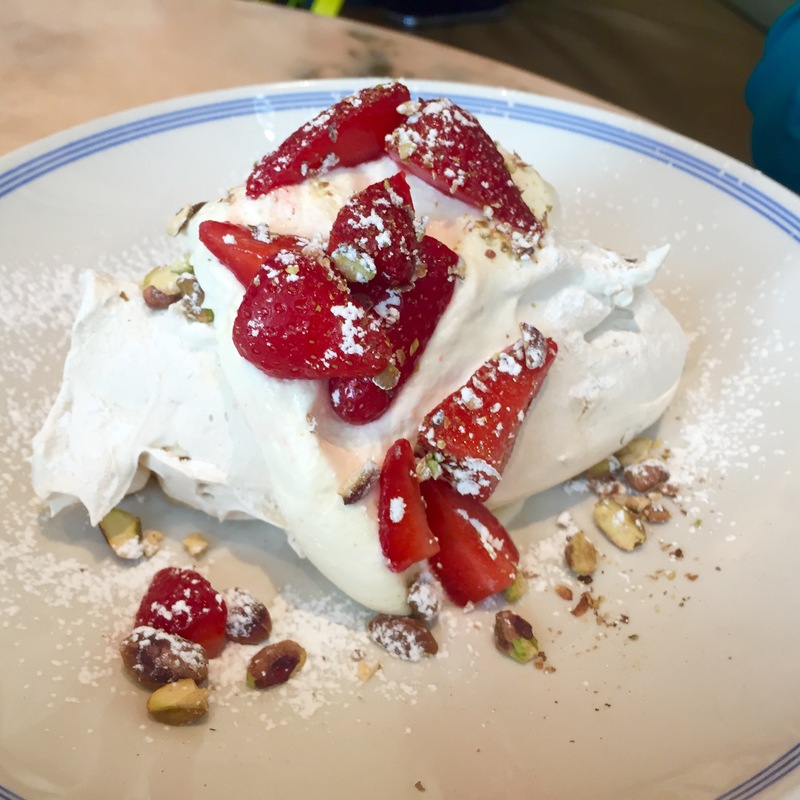 We all agreed that the meringue was not amazing but the yoghurt cream inside was pretty good. Granger & Co offer a good, but not out of this world brunch. I would probably come back to try other dishes they have on offer! As for the Yayoi Kusama exhibition – definitely check it out!